The following provides guidance for reporting on quantitative studies. All items may not be relevant to your particular study; please consult with your chair for guidance. The checklist items may not necessarily be in the order that works best for your dissertation. Please consult with your committee; however, the checklist should work well in the absence of other considerations. Indicate on the checklist the page number (use the actual document page number, not the MS Word pagination) where the appropriate indicator is located. Respond to comments from the chair and/or URR comments in the comment history box. Do not delete previous comments¾just add your response and use some means to clearly identify your remarks (different font/bold/italics/color). Provide specific feedback in the comment history column. Do not delete previous comments¾just add your response and use some means to clearly identify your remarks (different font/bold/italics/color). If you made detailed comments on the draft (using track changes and comments), you can make reference to the draft rather than restate everything in the checklist comment history section. Type of relationship between variables. Key variables (independent and dependent). Identify the purpose of the study. State the theoretical foundations and/or conceptual frameworks, as appropriate. Summarize the key research question(s). Describe, concisely, the overall research design, methods, and data analysis procedures. Identify key results, conclusions, and recommendations that capture the heart of the research (for the final study only). Conclude with a statement on the implications for positive social change. Indication that this is a quantitative study. The study intent (such as describe, compare, correlate, explore, and develop). The independent, dependent, and covariate variables. State the null and alternative hypotheses that identify the independent and dependent variables being studied, the association being tested, and how the variables are being measured. Studies must include either a theoretical foundation or a conceptual framework section or both. Identify the theory or theories and provide the origin or source. State concisely the major theoretical propositions and/or major hypotheses with a reference to more detailed explanation in chapter 2. Explain how the theory relates to the study approach and research questions. This applies to some epidemiological studies (as well as to some other quantitative studies). Identify and define the concept and/or phenomenon that grounds the study. Concisely describe the conceptual framework (a description of the body of research that supports the need for the study) as derived from the literature with more detailed analysis in chapter 2. State the logical connections among key elements of the framework with a reference to a more thorough explanation in chapter 2. State how the framework relates to the study approach and key research questions, as well as to instrument development and data analysis, where appropriate. Provide a concise rationale for selection of the design and/ or tradition. Briefly describe the key study variables (independent, dependent, and covariates). Briefly summarize the methodology (from whom and how data are collected and how data will be analyzed). Provide concise definitions of the independent variable, dependent variable(s), and any covariates (with more detailed analysis of coding, etc. described in chapter 3). Define terms used in the study that have multiple meanings (e.g., socioeconomic status, educator, health service professional, etc.). Do not include common terms or terms that can easily be looked up in a dictionary. Include citations that identify support in the professional literature for the definition or operational definition. Clarify aspects of the study that are believed but cannot be demonstrated to be true. Only include assumptions critical to the meaningfulness of the study. Describe the reasons why the assumption(s) was (were) necessary in the context of the study. Describe specific aspects of the research problem that are addressed in the study and why the specific focus was chosen (issue of internal validity). Define the boundaries of the study by identifying populations included and excluded and theories and/or conceptual frameworks most related to the area of study that were not investigated (this is an issue of external validity). Describe limitations of the study related to design and/or methodological weaknesses (including issues related to limitations of internal and external validity, construct validity, and confounder variables). Describe any biases that could influence study outcomes and how they are addressed. Describe reasonable measures to address limitations. Identify potential contributions of the study that advance knowledge in the discipline. This is an elaboration of what the problem addresses. Identify potential contributions of the study that advance practice and/or policy, as applicable. Describe potential implications for positive social change that are consistent with and bounded by the scope of the study. Summarize main points of the chapter. Provide transition to chapter 2. Restate the problem and the purpose. Provide a concise synopsis of the current literature that establishes the relevance of the problem. Preview major sections of the chapter. List accessed library databases and search engines used. List key search terms and combinations of search terms (with more detailed search terms located in an appendix, if appropriate). Describe scope of literature review in terms of years searched as well as types of literature and sources searched, including seminal literature as well as current peer-reviewed literature. In cases where there is little current research, and few (if any) dissertations and/or conference proceedings, describe how this was handled. Name the theory or theories. Provide origin or source of the theory. Describe major theoretical propositions and/or major hypotheses, including delineation of any assumptions appropriate to the application of the theory. Provide a literature- and research- based analysis of how the theory has been applied previously in ways similar to the current study. Provide the rationale for the choice of this theory. Describe how and why the selected theory relates to the present study and how the research questions relate to, challenge, or build upon existing theory. Identify and define the concept and/or phenomenon. Synthesize primary writings by key theorists, philosophers, and/or seminal researchers related to the concept or phenomenon. Provide key statements and definitions inherent in the framework. Describe how the concept or phenomenon has been applied and articulated in previous research and how the current study benefits from this framework. Describe studies related to the constructs of interest and chosen methodology and methods that are consistent with the scope of the study. Describe ways researchers in the discipline have approached the problem and the strengths and weakness inherent in their approaches. Justify from the literature the rationale for selection of the variables or concepts. Review and synthesize studies related to the key independent, dependent, and covariate variables to produce a description and explanation of what is known about the variables, what is controversial (i.e., mixed findings by researchers), and what remains to be studied. Review and synthesize studies related to the research questions. Concisely summarize major themes in the literature. Summarize what is known as well as what is not known in the discipline related to the topic of study. Describe how the present study fills at least one of the gaps in the literature and will extend knowledge in the discipline. Provide transitional material to connect the gap in the literature to the methods described in chapter 3. Restate the study purpose as described in chapter 1. Concisely state the study variables (independent, dependent, covariate, mediating, and/or moderating variables, as appropriate. Identify the research design and its connection to the research questions. Explain any time and resource constraints consistent with the design choice. Describe how design choice is consistent with research designs needed to advance knowledge in the discipline. If conducting an intervention study, defend the choice of intervention. State target population size (if known) or approximate/estimated size. Identify and justify the type of sampling strategy. Explain specific procedures for how the sample will be drawn. Describe the sampling frame (inclusion and exclusion criteria). · Justification for the effect size, alpha level, and power level chosen. · Cite the source for calculating or the tool used to calculate the sample size. Thoroughly describe recruiting procedures and particular demographic information that will be collected. Describe how participants will be provided informed consent. Describe how data are collected. Explain how participants exit the study (for example, debriefing procedures, etc.). Describe any follow-up procedures (such as requirements to return for follow-up interviews, treatments, etc.). Describe the relationship of the pilot study to the main study (for example, what is the purpose of the pilot study?). Describe clearly and thoroughly the nature of the treatment, intervention, or experimental manipulation, how it will be designed and administered, and by whom and to whom it will be administered. Include all procedures for recruitment, participation, and data collection associated with the main study. Describe the procedure for gaining access to the data set. Describe necessary permissions to gain access to the data (with permission letters located in an appendix). If historical or legal documents are used as sources of data, demonstrate the reputability of the sources and justify why they represent the best sources of data. Name of developer(s) and year of publication. Appropriateness to the current study. Permission from developer to use the instrument (permission letter should be included in an appendix). Published reliability and validity values relevant to their use in the study. Where and/or with what populations the instrument was previously used and how validity/reliability are/were established in the study sample. Basis for development (literature sources or other bases for development, such as a pilot study). Plan to provide evidence for reliability (for example, internal consistency and test/retest). Plan to provide evidence for validity (for example, predictive and construct validity). Establish sufficiency of instrumentation to answer research questions. Identify materials/programs applied as treatment or manipulation. Provide information on the developer of the materials and/or programs. If published, state where, how, and with which populations the instrument was previously used. If researcher-developed materials, state the basis for development and how the materials were developed. Provide evidence that another agency will sponsor intervention studies (such as clinical interventions). How each variable is measured or manipulated. How the variable/scale score is calculated, what the scores represent, and an example item. Identify software used for analyses. Provide explanation of data cleaning and screening procedures as appropriate to the study. Restate the research questions and hypotheses here as written in chapter 1. · Statistical tests that will be used to test the hypothesis(es). · Procedures used to account for multiple statistical tests, as appropriate. · Rationale for inclusion of potential covariates and/or confounding variables. · How results will be interpreted (key parameter estimates, confidence intervals and/or probability values, odds ratios, etc.). Describe threats to external validity (for example, testing reactivity, interaction effects of selection and experimental variables, specificity of variables, reactive effects of experimental arrangements, and multiple-treatment interference, as appropriate to the study) and how they will be and/or were addressed. Describe threats to internal validity (for example, history, maturation, testing, instrumentation, statistical regression, experimental mortality, and selection-maturation interaction, as appropriate to the study) and how they will be and/or were addressed. Describe any threats to construct or statistical conclusion validity. Agreements to gain access to participants or data (include actual documents in the IRB application). 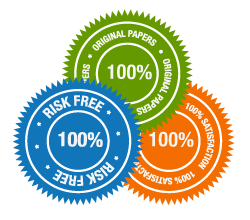 · Institutional permissions, including IRB approvals that are needed (proposal) or were obtained (completed dissertation);include relevant IRB approval numbers in the final dissertation. · Ethical concerns related to recruitment materials and processes and a plan to address them. · Ethical concerns related to data collection and/or intervention activities (these could include participants refusing participation or early withdrawal from the study and response to any predicable adverse events) and a plan to address them. · Whether data are anonymous or confidential and any concerns related to each. · Protections for confidential data (data storage procedures, data dissemination, who will have access to the data, and when data will be destroyed). Other ethical issues as applicable (these issues could include doing a study within one’s own work environment, conflict of interest or power differentials, and justification for use of incentives). Summary of design and methodology of the method of inquiry. Review briefly the purpose, research questions, and hypotheses. Preview the organization of chapter 4. Concisely report the results of the pilot study. Report any impact of the pilot study on the main study (for example, changes in instrumentation, data analysis strategies, etc.). Describe the time frame for data collection as well as actual recruitment and response rates. Present any discrepancies in data collection from the plan presented in chapter 3. Describe how representative the sample is of the population of interest or how proportional it is to the larger population if non-probability sampling is used (external validity). Provide results of basic univariate analyses that justify inclusion of covariates in the model, if applicable. Describe whether the treatment was administered as planned and any challenges that prevented planned implementation as described in chapter 3. Describe any adverse events (those with serious consequences) related to the intervention. Report descriptive statistics that appropriately characterize the sample. Evaluate statistical assumptions as appropriate to the study. · Exact statistics and associated probability values. · Confidence intervals around the statistics, as appropriate. · Effect sizes, as appropriate. Report results of post-hoc analyses of statistical tests, if applicable. Report any additional statistical tests of hypotheses that emerged from the analysis of main hypotheses, as appropriate for the study. Summarize answers to research questions. Provide transitional material from the findings and introduce the reader to the prescriptive material in chapter 5. Concisely reiterate the purpose and nature of the study and why it was conducted. Describe in what ways findings confirm, disconfirm, or extend knowledge in the discipline by comparing them with what has been found in the peer-reviewed literature described in chapter 2. Analyze and interpret the findings in the context of the theoretical and/or conceptual framework, as appropriate. Ensure interpretations do not exceed the data, findings, and scope. Describe the limitations to generalizability and/or trustworthiness, validity, and reliability that arose from execution of the study. These should be used to revise what was written in chapter 1 for the proposal. Describe recommendations for further research that are grounded in the strengths and limitations of the current study as well as the literature reviewed in chapter 2. Ensure recommendations do not exceed the study boundaries. · Describe the potential impact for positive social change at the appropriate level (individual, family, organizational, and societal/policy). · Ensure implications for social change do not exceed the study boundaries. Describe methodological, theoretical, and/or empirical implications, as appropriate. Describe recommendations for practice, as appropriate. Provide a strong “take home” message that captures the key essence of the study. All citations have been crosschecked to ensure that there are corresponding references (and that there are no references that do not have associated citations). All sources are cited correctly per APA formatting requirements (for example, studies listed in alphabetical order by first author; no first names of authors). The paper has been thoroughly checked for grammar, spelling, and syntax errors. For the final dissertation, the dissertation has been checked for correct verb tense representing a completed study. Headings are used, consistent with the Walden Dissertation Template, to make sections of thought distinct. The Writing Center Dissertation Template (APA, 6th edition) was used to construct the proposal and/or dissertation so that all formatting is correct.